See trucks that take heavy loads in trailers on long journeys. See rubbish trucks collect lots of garbage. 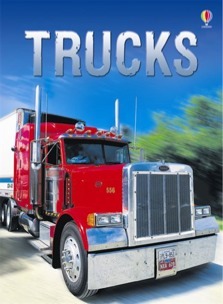 Try a puzzle matching game with trucks and other machines. Print out and colour a monster truck picture.